Bethesda MD | April 2, 2019 As an educator, understanding IEP’s (Individualized Education Plan) and 504 Plans (ensuring a child with a disability receives accommodations to aid in academic success) is essential. If not properly planned or carried out they can cause legal issues for schools. 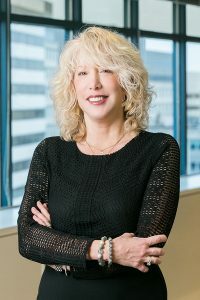 Offit Kurman attorney, Lisa Seltzer Becker, will present at the National Business Institute’s IEP and 504 Plan Legal Workshop on Friday May 3rd in Columbia MD. Her presentation, Discipline and Expulsion Essentials Under IDEA and Section 504, focuses on providing services during disciplinary removal, how manifestation determination reviews apply, and protections for children not yet eligible for special education and related services. The program is geared towards school Principals and Vice-Principals, school Superintendents and Assistant Superintendents, school psychologists, school counselors, special education teachers, general education teachers, attorneys and paralegals. Lisa Seltzer Becker began practicing law in 1996. Her practice has always focused on Family Law and Education Law. In her Education practice, she has represented many students and families in school disciplinary matters, in both public and private schools, in Montgomery, Baltimore and Howard Counties. Lisa is experienced in representing college students in campus sexual misconduct/Title IX cases, as well as academic misconduct (cheating and plagiarism) cases. She routinely represents secondary and college students in suspension and expulsion hearings and appeals. She has successfully prevented students from expulsion and has obtained settlements removing suspension from students’ records. Lisa also handles bullying, school transfer and special education matters, as well as contract disputes with colleges and private schools.